Everyone is welcome to have their children baptised (christened) in their parish church. Your child is precious to you and precious to God. At baptism you make a decision to start your child on a journey of faith. The church and the godparents support the family and the child in this decision. Baptism is not just for children. 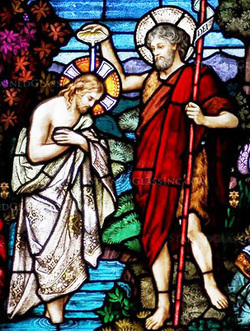 We rejoice in welcoming adults to baptism into Christ's church. Please contact the vicar for more information. At Light in the Hills we would love to be able to help you begin your married life together by planning the perfect traditional Christian wedding ceremony in the Anglican tradition. We believe that Christian marriage is a gift of God our creator. It is a symbol of God's unending love for his people and of the union between Christ and his Church. ​As a parish our prayers are with you as you prepare to begin your married life together. If you are interested in having your wedding at one of our beautiful faith-filled churches please contact the vicar. Copyright 1995 The Anglican Church of Australia Trust Corporation. A funeral is used to mark the end of a person's life here on earth. Family and friends come together to express grief, give thanks for the life lived and commend the person into God's keeping. A funeral can be a small, quiet ceremony or a formal event in a packed church. Everyone is entitled to have a Christian funeral service in our parish, regardless of whether or not they attended church. We also have a garden of remembrance at each of our churches where anyone may have their ashes interred. Please contact the vicar for more information.